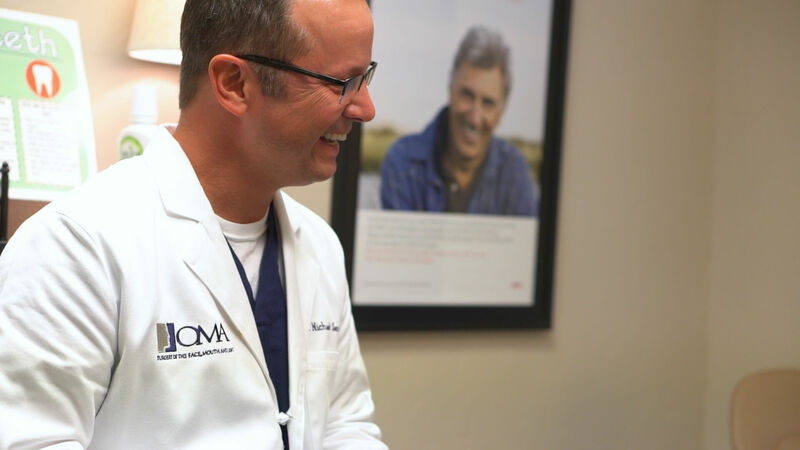 Oral & Maxillofacial Associates of Oklahoma offers cosmetic maxillofacial surgery in Oklahoma City, Norman, Midwest City, and Edmond, OK. To schedule an appointment call 405-848-7994 (Oklahoma City), 405-292-8900 (Norman), 405-733-4296 (Midwest City), or 405-341-4022 (Edmond). Cosmetic maxillofacial surgery repairs physical malformations resulting from disease, injury, burns, birth defects, or aging. It is also used to restore normal function and to improve individual appearance. At Oral & Maxillofacial Associates of Oklahoma, we have 25 years of experience in surgical procedures involving both the soft tissues and hard tissues of the maxillofacial area. We are uniquely qualified to find the harmony between facial appearance and function. There are many reasons to pursue cosmetic surgery. Some people have surgery to repair birth defects or damage caused by accidents. Others choose cosmetic surgery to improve their appearance. Please note that in many cases, two or more complementary procedures may be performed. The first step is a careful physical examination and thorough medical history to determine your suitability for cosmetic surgery. We will discuss the proposed procedure(s), the anticipated results, the possible risks and complications, and the type of anesthesia we plan to use. Depending on your needs, we may perform your surgery in our office, in an ambulatory surgical center, or in the hospital. You might receive local anesthesia, IV sedation, or general anesthesia. While most patients report enhanced self-esteem and self-confidence following cosmetic surgery, it is important to be realistic. The goal of surgery is to refine and enhance your features. Your age, health, bone structure, skin texture, and healing capacity will all play a role in the results. You will not receive a new face or a new life. It is vital that you have an honest discussion with us regarding your expectations before we begin. Cosmetic surgery requires patience, along with realistic expectations and a good attitude. Each procedure requires healing time, during which you may experience swelling and bruising along with mild to moderate pain. Incisions are made within the natural folds and creases of the face, making them as inconspicuous as possible, and they typically fade with time. Although these procedures are relatively common, they carry risks just like any other surgery. It is important to fully understand the risks and possible complications before we begin. Costs vary according to your geographic area and the complexity of the procedure. Please note that in most cases, cosmetic surgery is considered “elective” and is not covered by insurance. Check with your insurance company to determine whether any portion of the process is covered. Botox: Botox injections use botulinum toxin to temporarily paralyze muscle activity. They are primarily used to reduce the appearance of wrinkles, but are also medically indicated for certain conditions. Let us know of all medications you are taking before we begin. Facial Fillers: Facial fillers are injectable solutions that can fill in fine lines and wrinkles at a fraction of the cost of a facelift. They are also used to plump and lift cheeks, jawlines, lips, and more. Chin Surgery (Mentoplasty): Mentoplasty can increase or reduce the size of the chin, and it is often performed in conjunction with corrective jaw surgery. There are two options: moving the chin bone backward or forward, or adding an artificial prosthesis to the chin. Cheek Implant (Malar Augmentation): Cheek implants can add definition to the cheekbones of patients with long, narrow faces, very round faces, or flat cheeks. Facial Liposuction: Facial liposuction can reduce fat deposits from localized areas of the face. The best results occur in patients who are in good physical condition and have strong skin elasticity. Chemical Peel: Chemical peels can improve skin that is wrinkled, scarred, or otherwise damaged. A light peel is best for superficial wrinkles, while medium or deep peels are used for more severe conditions such as acne scarring or keratoses. Facial Dermabrasion: Facial dermabrasion uses an abrasive rotary tool to sand the skin. It is helpful in evening out the skin, as well as in removing wrinkles, liver spots, and certain skin lesions.